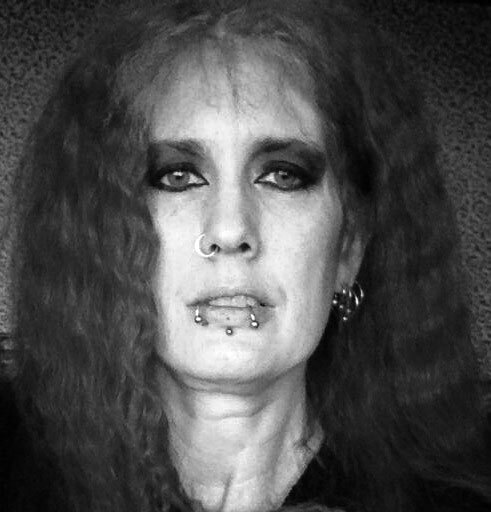 Ann Winsper is a ghost hunter and Parapsychologist, and co-founder of Para.Science psychical research and investigation. Ann has been investigating hauntings for nearly 40 years, and is currently a PhD student at the University of Central Lancashire researching the psychology of Electronic Voice Phenomena. Ann is a regular speaker at conferences, giving talks on EVP and the paranormal in general. What is Parapsychology? What led you into this field of research? Parapsychology is the study of a specific set of anomalous phenomena, including telepathy, remote viewing, psychokinesis, precognition and more broader survival studies (ghosts, mediumship etc). It doesn’t include areas such as cryptozoology and UFOs, although there can be some crossover when looking at the psychology of, for example, ghost experiences and UFO experiences. I’ve always had a passion for the paranormal, and I’ve been a Ghost hunter for many, many years. I co-founded Para.Science with Steve Parsons nearly 25 years ago. We both had a passion for investigating the paranormal, and wanted to do it with as scientific a methodology as possible. We realised that most of the groups around at the time had no idea how to use scientific methodology so we formed our own group. A number of years later, we decided we wanted to start attending conferences that were parapsychology based, but we soon realised that people were ignoring us as “just the ghost hunters”. I was so annoyed that I went out and got a Psychology BSc, which did give me a more in-depth understanding of the psychological issues surrounding anomalous phenomena. I did my undergraduate project looking at Electronic Voice Phenomena, a subject that was being dismissed out of hand by the parapsychologists and anomalistic researchers as “not real so not worth looking at”. In the spirit of true scientific endeavour, I decided that you can’t dismiss something out of hand if you haven’t researched into it, so that’s what I did. Of course, once I had my degree people started asking if I had a PhD, so I’m now three quarters of the way through a PhD, still looking at Electronic Voice Phenomena. There are serious studies being undertaken across the world trying to produce “real” EVP, and I’m hoping between these and the studies I’m doing, looking at what psychological factors might cause misperceptions, we might be able to unpick if there really is a genuine anomalous phenomenon happening. What is the difference between Parapsychology, Anomalistic psychology and ghost hunting? I’m probably not a typical Parapsychologist, as I very firmly specialise in the ghost hunting aspect. Laboratory based parapsychologists study phenomena such as extrasensory perception (ESP) and psychokinesis (PK). Whilst I have an interest in these, I don’t research them, mainly because I think the field has gone a bit stale with endless Ganzfeld experiments and whilst I have got a fascination with PK, none of the experiments I have come up with in the past would get through an ethics committee! Anomalistic psychologists have a broader remit, and they will also study phenomena such as cryptozoology and UFOs which whilst I have an interest in them, I don’t actively investigate them. I think of the 3 groups on a spectrum (please realise this is tongue in cheek but with a core of truth!) – ghost hunters believe everything, anomalous psychologists believe nothing, and parapsychologists hold the middle ground where they are open to all possible explanations. However having said that, I am a ghost hunter and I certainly don’t believe everything, I think there are still a core number of groups out there investigating ghosts in a professional manner, sadly there has been an explosion of groups who really don’t know what they are doing (which is fine if it’s just for entertainment and a “spooky night out”, but not very good for credible research). There is also an issue with parapsychologists, who think they are ghost hunters – again there are parapsychologists who also have the skills to be ghost hunters, but there are parapsychologists who think just being a parapsychologist qualifies them to be a ghost hunter, and that’s certainly not true. Anomalous psychologists like to do everything in a laboratory, which sadly removes an element of ecological validity. Gosh, if I could answer that one definitively I’d be rich! The problem with trying to define a ghost is that usually to define one you also need to propose a mechanism by which they exist, and no-one has yet come up with a testable theory for this. My favourite definition is by Steve Parsons in his Ghostology book: “…some sensation or sensory experience that we are unable to explain by normal means”. For me this doesn’t necessarily mean that we will never be able to explain these anomalous events, but the thing that keeps me looking is the desire to know what these experiences are, whether they turn out to have a natural or supernatural explanation. What is it that fascinates you about ghosts/ has led you to do so much research into ghosts and ghost belief? I’ve always had a fascination with ghosts, I used to sneak ghost story books into the house to read when I was a child, and I still have a love of the classic ghost story as told by authors such as MR James and Sheridan Le Fanu, but I had a few unusual experiences as a teenager which persuaded me that there might be something worth looking into. I don’t like unanswered questions, so 40-odd years later I’m still looking for answers, but I’m just as fascinated by how the human mind works and how we can be fooled as I am by what a ghost is, and if ghosts are proof of an afterlife. Why does such a surprising large percentage of the population of the UK believe in ghosts? Reports of ghosts have been recorded for many centuries, and unlike a number of other cultures, the British seem to embrace their ghosts. Since the advent of television and social media, this interest has rocketed, and what used to be a serious pastime trying to discover what was causing ghostly phenomena has now turned into entertainment, and a fun way for people to spend a “spooky night” in a haunted building. The sceptics present themselves very much as condescending killjoys, particularly in the media, and I think this fuels the belief that there actually is something anomalous out there (I call it the “Brian Cox effect” – calling people “Nobbers” doesn’t really engage them to listen to your point of view, and in fact usually reinforces their belief! Why are some locations said to be more haunted than others? Some locations appear “spooky” for numerous reasons – they are old, dark, the site of some famous disaster/murder etc. and this can predispose people to thinking they are seeing/hearing/experiencing something anomalous, when in fact the experience may have a perfectly mundane explanation. We can see from following the history of hauntings of a site, that if a ghost hunting group go to a supposedly haunted place and say that it’s haunted, any subsequent group will report not just the phenomena originally described, but additional phenomena as well, and eventually the site ends up with a reputation for having a multitude of ghosts, most of which have nothing to do with the original reported haunting. There could well be an anomalous occurrence at a site, but sadly once a multitude of different groups have been there and added their own experiences, it’s almost impossible to unpick anything that might be of real interest. And of course the sceptics don’t help, as soon as they declare a site definitely not haunted, it just causes another rush of ghosthunters to go and prove them wrong! Why do you think Liverpool has so many ghost stories and ghost believers? Liverpool is a historic city with many historic buildings, so it is unsurprising that over the years a number of ghost stories have grown up around it. Again, ignoring some of the more recent reports which tend to have little basis in fact (I’ve lost count of the number of buildings that had multiple deaths, whether in truth or legend, and virtually every old building seems to have a maid who got pregnant by the master of the house and hung herself, it must have been the most dangerous profession going! ), then there have certainly been ghost reports over history which have been described in the same manner by multiple witnesses over the years. One of the subjects that I have been looking into for many years is the Liverpool time slips. There have been many, many reports from the Bold Street area of Liverpool of people experiencing apparent slips in time, where they can be walking down the street and suddenly it looks completely different and “old fashioned”. The interesting thing about these reports is that there is two way interaction in these reports, the people witnessed are just as shocked to see the modern person as he/she is to see them. I’ve spent quite some time hoping someone will report one to me straight after it happens, so that I can check CCTV footage and see what that shows, but so far no luck. Are their common ghost characteristics described by their percipients? There are certain commonalities, but experiences can vary widely. People assume that ghosts are spooky see through creatures that disappear through walls, but they can just as easily be as solid as you or I, people have only realised something odd is happening when the solid person they have been talking to suddenly disappears in front of them. We have had reports of smells, figures seen in the corner of the eye, banging sounds, sense of presence, then you could also probably put a case to have time slips classified as ghost encounters. Do the characteristics assigned to ghosts change/ evolve across cultures and throughout history? The most striking change is probably cross-cultural – in some cultures (for example Japan and Indonesia), ghosts are seen as very scary and menacing, whereas in Britain they are often seen as more benign (even when a ghost has been reported as being a “bad spirit”, it doesn’t stop people going and investigating, whereas in other cultures people just wouldn’t go anywhere near). The nature of ghosts has certainly changed in recent British history, partly because people are using “ghost technology” and citing this as proof of ghosts, and of course this technology was not available until recently. Why do you think that certain technologies are associated with ghosts? Unfortunately a lot of people read the headlines and make assumptions which have no basis in scientific fact. So for example Professor Persinger in Canada did a lot of research looking at the effect of weak, complex electromagnetic fields on the human brain. The conclusion from this research was that these specific fields can affect the human brain and cause people to hallucinate apparent paranormal experiences. Ghost hunters read the headline and assumed that ghosts affect electromagnetic fields, so you now have huge numbers of people going out into haunted locations waving electromagnetic field meters around saying that the ghosts are affecting the readings on their meters. Which was never the conclusion from the scientific papers. This is actually a major problem in ghost research at the moment, people are using technology with no idea why they are using it or what they are looking for, and they haven’t been trained how to use the equipment properly so all the readings they obtain are meaningless. And it’s not just ghosthunters that are guilty of this, there are a number of papers that have been published in respected journals that have been written by psychologists and peer reviewed by psychologists, and their use of the equipment is frankly bad science. These papers should be peer reviewed by physicists and people who are qualified to use this equipment for its true purpose, not by psychologists who have no expertise in it. What kind of equipment or technology do you use in your own research? For ghosthunting, I use very little equipment as I am most interested in how people react and respond in apparent haunted locations. I like people to make notes of how they feel and what they are experiencing, as at the end of the day, a ghost is a subjective experience so the best information we can get is from the person having that subjective experience. Equipment has its place, for example if someone reports that the ghost of Uncle Fred walks through their living room each night, it would be daft not to take cameras and video recording equipment to try and record Uncle Fred as he passes by, but there is no point storming into a location with the contents of a small electrical wholesaler, you first need to speak to the people and observe the environment. Para.Science rarely do one visit investigations, we have had investigations of buildings that have lasted 4 years, as you need to get to know the building, the sounds it makes, its little anomalies, and how people react to the building. Then you can use carefully chosen equipment if appropriate. I am currently using some equipment however in my EVP research – the focus of my PhD is investigating if there are individual differences in personality traits and auditory perception in people who claim to record and interact with anomalous voices when compared to non-EVP experiencers. Preliminary results from my undergrad degree suggest that people with strong belief and also sceptics are not accurate at picking out voices, whereas people with a moderate level of paranormal belief are the most accurate, so I’m really interested to see if this is true in the larger studies that I’m doing. As part of the review of the field I’ve been doing, I’ve been taking part in EVP sessions and I’ve also been using a P-SB7 ITC Research Device, which is a fancy name for a radio that sweeps between radio stations (also colloquially call “Ghost Boxes”). The idea of these is that spirits will stop the scanner at appropriate points to make up messages from sound clips. I’ve not found a single compelling piece of evidence that these boxes produce anything more than misperception, and people assigning meaning to random sounds. The methodology of most studies that I’ve observed has been very lax, and it has proved impossible to identify any sounds on the tape as definitely being anomalous. However, I’m hoping in the future to spend more time trying the technique myself using the more old-fashioned method of a tape recorder and a white noise generator and see what results I get. What methods do you use to research paranormal phenomena? As I’m foremost a ghost hunter, most of my investigations take place in the field, in haunted locations. I do have to say though, that apart from a very few outstanding unusual experiences that I’ve both experienced and recorded, most of my unusual experiences have happened when I’ve not been looking for them. This mimics the conditions when witnesses typically report a ghostly encounter, very few people are looking for a ghost when they see one. For this reason I think it important to replicate the conditions the witness was in when they had the experience. I’ve even been crouched in a living room whilst a family eat pizza and watch Coronation Street, as that was what they were doing each time they saw the apparent ghost! It can be a long and tedious process, but this will usually give you an idea about any natural processes that might be causing misperceptions and misinterpretations. I’ve certainly seen enough to know that true currently unexplainable phenomena are quite rare, but I’ve seen enough to keep me looking as I want to know what’s causing them. What are some of the chief psychological factors behind ghost belief? A lot of people take comfort from thinking that death is not the end, and of course religion teaches us that death is not the end. You have to be very careful when dealing with people’s beliefs, which is why I get annoyed at sceptics as they like to steamroller over people’s beliefs which can be quite harmful. If someone is having an experience and it is very obviously not paranormal, morally you cannot tell them that it is. But if someone is getting a lot of comfort from thinking that the ghost of a deceased loved one is visiting them, it can be more productive to guide them towards a professional, for example a grief counsellor. If someone does believe strongly in the paranormal, their perception of everyday events can be skewed by this belief – for example a white feather means a loved one is close (more likely to have dropped from a bird), the ghost opened my kitchen cupboard (more likely you forgot to close it when you were dashing to work). If a building has a reputation as being haunted, and a group of the public go on a ghost hunt, you can pretty much guarantee something will happen, they are expecting something to happen, they have built themselves up to it being scary, so the smallest thing (such as a naturally flickering light) can send them into hysterics. There are also a lot of natural occurrences that people will misinterpret as paranormal, people describe “there was a sudden draught, and it couldn’t have come from anywhere, the doors were shut!”. I’ve spent a lot of time now sitting in buildings, tuning in to the natural movements and sounds, and I can definitely say that there are all sorts of strange sounds and draughts in most buildings, it’s just that we don’t normally sit around in the dark waiting for them. What are common arguments that ghost believers present to convince others that ghosts exist? Most often nowadays people will present the output of technology and say “that’s proof”. Orbs on film (they aren’t paranormal), EVP clips from ghost boxes (even a cursory examination of the sound files usually shows that the phrase the ghost is apparently saying is actually nothing like it at all), blurry photographs of camera straps that have been caught in shot. This has made life very difficult, I have a very tiny amount of sound and film where we have not been able to find an explanation, despite rigorous examination of both the evidence and the location. However if you do present it as “unexplained” (I’d never call anything proof) people automatically assume it’s faked. How can you prove that ghosts do or don't exist? I certainly can’t. However we can keep testing new methodology which will allow us to pick away at phenomena that turn out to be natural, maybe one day there will be something left that defies explanation, maybe one day we will have explained everything. I don’t think we’ll ever be able to answer this. Do you have a favourite ghost story and can you briefly tell it? I’ll give you the edited highlights of the only time I’ve been scared on a ghost hunt. We had been asked to investigate a haunted pub in Preston. It was quite a number of years ago, back in the days when we were trying out a number of different types of technology to see how they worked in the field, so we had a lot of equipment with us. We arrived, had a chat with the bar staff about the activity that was reported in the building, and went to set the equipment up. There had been reports of blood dripping from a freezer in the basement, so we went down into the basement to set up some recorders. As we walked down the stairs and into the basement area, we noticed one of the walls appeared to have containers from floor to ceiling. We looked closer, and the entire wall was stacked with vivariums full of tarantula spiders! It was very difficult concentrating, as we usually look out for any movement whilst on a ghost hunt, but this time the entire wall was moving! We went back into the bar area and started the ghost hunt, which was going well until the landlady arrived back at the pub, rolling drunk and very angry following an apparent domestic dispute. She screamed at everyone to “get out of her pub”, meaning both ourselves and the paying customers quietly sitting trying to have a pint. She was the scariest thing I’ve ever encountered on a ghost hunt, as she tore through the pub throwing tables, chairs, glasses, our equipment, and anything else she could lay her hands on. We tried to explain that we would leave immediately, but just needed to collect our equipment. This was met with a blank refusal, and the sorry sight of one of our video cameras being launched through the air like a missile (it did record it’s trajectory over the pool table!). We rushed into the basement to retrieve the group members and equipment down there, only to have Steve accidentally wedge himself in the stairway with a tripod, with the landlady throwing glasses at his head. We managed to scramble out of the pub, and could only stand outside listening to the landlady smashing up her own pub, and our equipment. We then remembered that our cars were locked in the pub carpark, and we couldn’t leave without the landlady unlocking the gate. Our only course of action was to phone the police. You can imagine the conversation – “and what are you doing in a pub at this time of night?” “Er, looking for ghosts” (this being the days before ghosthunting was popular). The police arrived, negotiated with the landlady (who by this time was accusing us of smashing her pub up), and two of our team were allowed in to collect the remains of the equipment. Whilst in the basement the landlady handed over two carrier bags and said “these belong to them”, we’d never seen them before but the landlady insisted they were ours, so we took them. We left and regrouped in the nearest motorway service station to sort out which smashed equipment remains belonged to whom, and opened the mysterious carrier bags. Which turned out to be full of stolen car stereos! So ghosthunting can be quite exiting, but not always in the way you expected!